A little world for small people. Dr Sarah Wilson took her daughter to Little Street in Frimley - it got a big thumbs up. Little Street is based on such a simple idea! But it’s genius! A world in miniature where little ones can be pretend to be all grown up. As a mum and a clinical psychologist I know that one of the best things you can do as a parent is to get down on your knees, take your child’s lead, and play! Playing with your child creates an invaluable connection between you, which ultimately enables them to explore their world more confidently and become more resilient children! You don’t need to spend lots of money – their imagination is all you really need and maybe a cardboard box – but if you are looking for of inspiration and something different to do, then Little Street is great fun! In the indoor street, you will find a bakery, hairdressers, vets, fire station and diggers, a stage with a ticket office and rows of dressing up, and a supermarket that would give Waitrose a run for it’s money! The street makes it so simple to engage in really fun, imaginative play with your child. 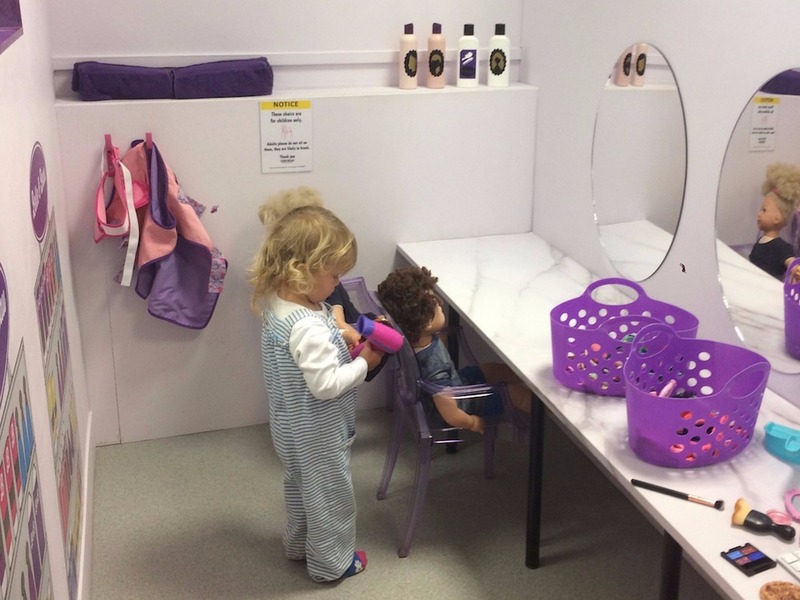 It really is such a gorgeous way to let you little ones pretend to be you! 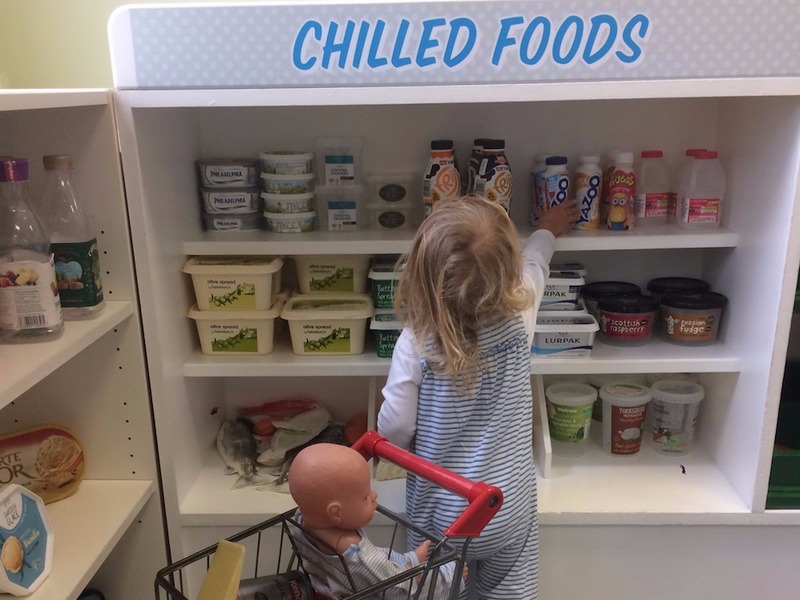 My two-year-old Sylvie loved having her own shopping list, walking around the supermarket with her trolley, picking things off the shelf and then heading to the tills to pay for her shopping haul! Next she was off on the fire engine rescuing her dog which she had borrowed from the vets, before taking to the stage all dressed up! When time came to go home, Sylvie just kept saying “one more minute” and she has talked about it so much since! You are allotted an hour and half session, which is just the right amount of time to immerse yourself in the little street experience and enjoy playing! 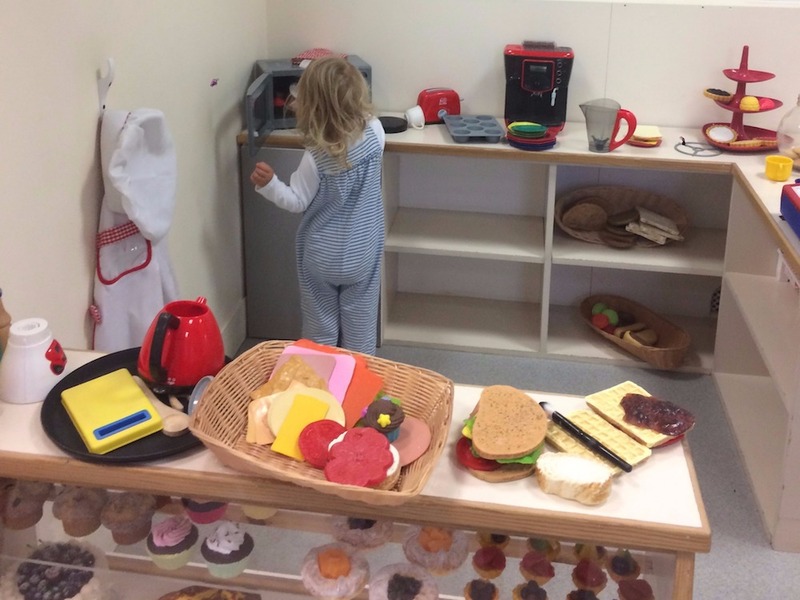 It is a really safe environment to let you child explore and investigate. Everything is super clean and tidy and toilets and changing facilities were grand! Staff were polite and friendly. Tea and coffee, cakes and snacks are available so the grown ups can refresh themselves before going back in to the real life street! Little Street is located in Frimleys train station, not that you would know it once inside. You can park at the train station but there is also free parking in Frimley centre.